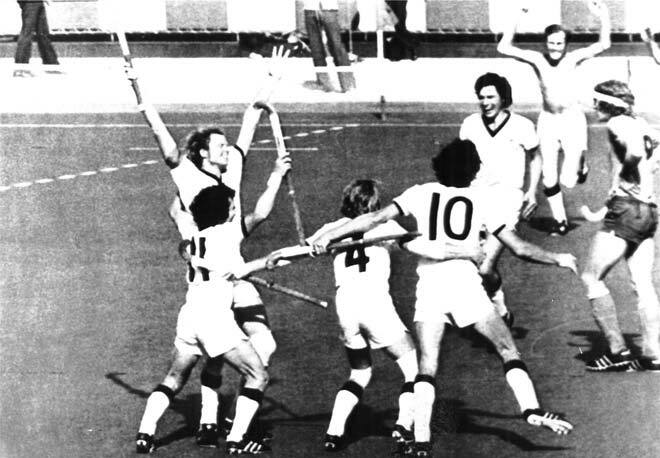 New Zealand hockey players celebrate after a 2–1 victory over the Netherlands at the Montreal Olympics, in 1976. The win meant New Zealand qualified for the final against Australia. New Zealand beat the Australian favourites 1–0 in the final to bring home the gold medal.